There are so many studies around breast cancer, or cancer in global in the last years since it’s a burning health problem in the 21st century. All the conducted studies and test do show that the number of women who suffer from metastatic breast cancer is growing every year. At least in the US. Also, metastatic breast cancers has show itself to be the most severe form of disease among women today. The research itself has shown that in January of 2017 year more than 150 000 women in the US have been living with MBC (Metastatic breast cancer disease) and the number is growing every year. But, not everything is as black as this conclusion. Researchers think how the main reason for more women to develop this kind of disease is the consequence of the aging of the US population since the older women are more likely to develop any kind of cancer, as well as the breast cancer. Also, 15 years ago (Research taken place from 1992 to 1994) have shown that back then only around 12% of women suffering from metastatic breast cancer were believed to live over 5 years after having it diagnosed. In 2012. more that 36% of those women were believed to live more that 5 years after the diagnose and the percentage number is growing every month! This is especially true for younger women. Researches also predict that the number of women surviving more than 5 years after the diagnose will increase by 31 percent from 2010 to 2020. Then it will be at 67 percent! This research was conducted by the National Cancer Institute (NCI) and the National Institutes of Health (NIH). 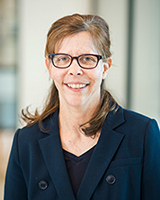 The study was led by Angela Mariotto, Ph.D. She is the chief of the Data Analytics Branch of the Division of Cancer Control and Population Sciences at the NCI. Previous PostPrevious Where does the money from cancer runs go? Next PostNext Cancer death rates continue to decline! 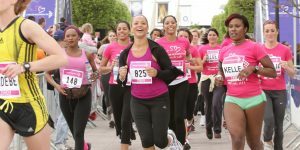 Some of the celebrities, including Angela Griffin, taking part in the Cancer Research UK's Race for Life, at the O2 Arena in Greenwich, London.